In this new series, we explore many of the stories of the young people we serve. All too often, juveniles in the Zambian justice system are forgotten and left to face prison and legal proceedings alone. UP Zambia was created to ensure that these children's stories are heard and that they don't experience an uncertain future that they are unprepared to face. Thanks to UP Zambia, these are stories of hope. Tyrone, Terrence, and Eric were three young teenagers living in Lusaka when they were approached one day by Drug Enforcement Officers who asked the boys to accompany them to the local police station to serve as witnesses in a criminal case. When they arrived at the station, however, they were surprised to learn they were under arrest on suspicion of possession of narcotics. Under false pretenses, they had been brought in, charged, and detained for a week at the police station, without the knowledge of their parents. The UP Zambia legal interns met the children when they were taken to court in July 2017. The interns got as much information as they could on the whereabouts of the boys' families and proceeded to track down their parents and inform them of theirs children's impending trials. While the children waited for their day in court, they were held in Kamwala Remand Prison within the adult population. During that time, UP Zambia continued to support the boys and provided legal counsel in preparation for their trials. They helped the children understand the criminal trial process, prepared them for cross examination and aided in the development of their defenses. The UP Zambia team then appeared with the children in the courtroom which is a rare event in Zambia where many children face the justice system alone without legal representation or family support. In August 2017, all of the children were acquitted of their offence and released. Today, Eric is back in his hometown with his family and Tyrone and Terrence returned to one of the most prestigious technical schools in Zambia. Zambian children like these are regularly detained by police without their parents' knowledge. This is not simply unjust to the juveniles themselves but leaves families in despair wondering what may have happened to their children. Often times families spend months and sometimes even years believing their child is missing. In a country where cell phone communication is not always available and homes are not always permanent, finding the families of these juveniles is a complicated and difficult task. 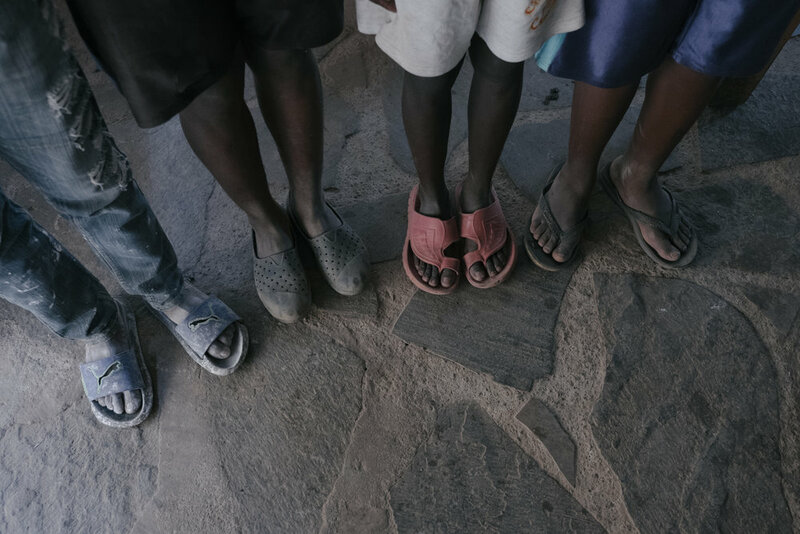 Part of UP Zambia's legal work involves "family tracing" where interns and staff spend hours and days canvassing Zambia's poorest urban neighborhoods in order to find the families of children facing criminal proceedings. Tyrone, Terrence, and Eric are just a few of the many children whose young lives are put on hold due to failings in the juvenile justice system. UP Zambia is here to help those children and their families gain solace during difficult and sometimes prolonged legal proceedings. Look out for more stories in the coming weeks and subscribe to our YouTube channel where you can view our new One Day Freedom Video series featuring the work of our Justice for Juveniles internship program.